So many vacationers start their trip to paradise with SpeediShuttle, but our shuttles are also perfect for flight crews stopping in Hawaii. Our shuttle services are ideal to accommodate airliners in Hawaii: flight crews, cabin crews and more can enjoy our shuttle services between Hawaiian hotels and airports. Our professional and reliable shuttle services are the best choice for personnel needing to make tight, demanding schedules. We know just how important it is to keep your flight staff on schedule and well rested. A SpeediShuttle service is perfect for any size airline crew. 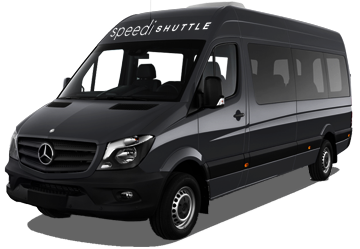 Our Mercedes Benz shuttles can fit up to 11 passengers. So, whether you need transportation for one or two staff members, or an entire group, our flight crew shuttles are the best way to travel to/from the airport. 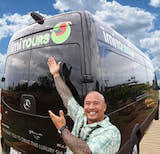 SpeediShuttle operates statewide on the Hawaii islands: Oahu, Maui, Kauai, and the Big Island. This means no matter where you land, our shuttle services are ready and waiting for your personnel. If your flight crew needs ground transportation from any of these airports in Hawaii, contact SpeediShuttle today! We provide daily airport shuttles, but can respond to customer requests by airline companies to meet your crew’s particular needs. We can coordinate personally with airlines to ensure we meet with the demands of your flight schedule. Quality, reliability, and on-time efficiency are what your flight staff is looking for to make certain they enjoy a stress-free trip. We know that airline crew members work long hours, and on time ground transportation is a must have for not just pilots and flight attendants, but anyone working in Hawaii.